Chess2u » Computer Chess Software, GUIs » Free Chess Software » I'm looking for a big board software (16x16) ? Re: I'm looking for a big board software (16x16) ? 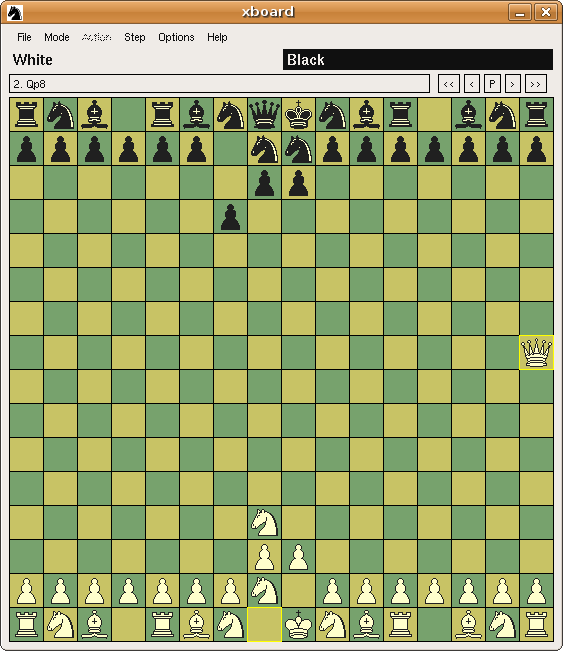 But honestly, I suggest you contact H.G Muller and ask him if possible, add this variant to WinBoard (opensource chess gui). It just opened a thread about 16x16 chessboard. Maybe it's you? In FIGS this is called "Big Chess"
@ChessDrone wrote: It just opened a thread about 16x16 chessboard. Maybe it's you? How? Of course not, his name "Lo Yang". I think he saw the topic here, so he opened one there asking for a tutorial to how to create this program. I'm looking for this program from a very long time. So, if you have an account on this site, ask him to send a direct download link of his program. Thanks ChessDrone. Great! Thank you ChessDrone, and thanks to H.G.Muller. Hmm....but there is no download link, can you ask Lo Yang or H.G.Muller for a download link? I do not have an account on this site. I tried on many time to open an account! I tried with WinBoard and WB Alien Edition but I have not managed to get what I wanted, it seems that there was need to change some portion of the code and recompiling it. Anyway, will be great if someone can post a download link to a working executable in the thread here. Ok, but there is no download link for a windows executable program (only source codes on that pages). 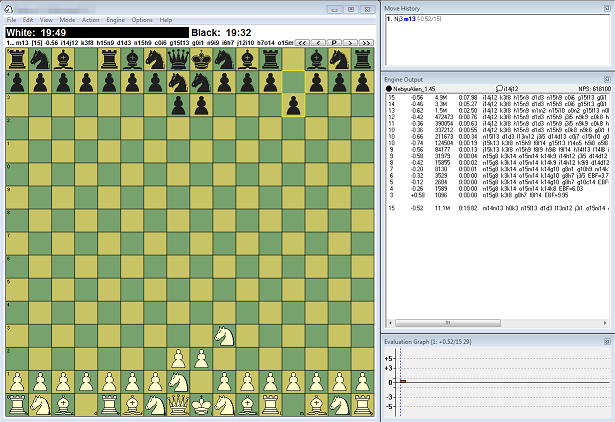 I packed WinBoard with Nebiyu and configuration file for 16x16 bigchess variant. Finally, I found what I was looking for since a long time. But, the engine (NebiyuAlien) is very weak, is there another one? And, can i change this board to 10x10 or 11x11? @Ahmed Kamal wrote: Nice work, ChessDrone. You welcome but... "Render unto Caesar the things that are Caesar's" this is HG Muller and Daniel Shawul deserves credit. But, the engine (NebiyuAlien) is very weak? Any engine or human will have the opportunity to play on a chessboard with 256 squares (= 16x16) is necessarily low. Here are the parameters of the 16x16 version which you can take as a source. # pieceToCharTable //winboard's piece to char table "PNBRQFEACWMOHIJGDVLSUKpnbrqfeacwmohijgdvlsuk"
@ChessDrone wrote: I packed WinBoard with Nebiyu and configuration file for 16x16 bigchess variant. Hi I tried to download the file but it said "Sorry, the file you requested is not available." so could you please put up a new link. Thanks in advanced. Thank you very much Velmarin. Much appreciated. Dude, don't post trojans here.